In case you haven’t noticed, user experience (UX) is all the buzz in libraries lately. If you aren’t already in the thick of a UX project now, you’re likely thinking of ways to start one. Accomplished information architect and author Lou Rosenfeld will discuss the curious world of user experience at the 2015 LITA President’s Program at the ALA Annual Conference in San Francisco, on Sunday, June 28th, 2015, from 3-4pm. He’ll tackle your questions with moderation from LITA President Rachel Vacek on the importance of UX research and what libraries can do to provide better experiences. This is a conversation you won’t want to miss! As we approach ALA Annual, the LITA President’s Program Planning Team invites you to share your library’s successful UX projects through the LITA President’s Program Contest: Great Library UX Ideas Under $100. Join us as we celebrate library innovation! Have you done something great to improve the physical or web user experience in your library? Were you able to complete the entire project for less than $100? Tell us about it! Using the form below, submit a description of your UX project. Include a brief description of the problem, the project’s goals and desired outcomes, methodology or assessment, any technology utilized, the budget, what changes were implemented, and a description of how those changes improved the library users’ experience. The project can be in progress or recently completed and can be related to any aspect of library services: technology, spaces, resources, or programs – so long as it is user-centered, improved the UX, and has been or will be completed with a budget of $100 or less! Submissions need to include a brief description of the problem, the project’s goals and desired outcomes, methodology or assessment, any technology utilized, the budget, what changes were implemented, and a description of how those changes improved the library users’ experience. Librarians and library staff from all types of libraries are encouraged to participate. Projects must have occurred within a library setting. Project descriptions must be 500 words or less. You do not need to be a LITA member to participate in the contest. Only one submission per project will be considered. Projects completed prior to January, 2014 will not be considered. The LITA’s President’s Program Planning Team will select one project winner. Notable entries may receive mention on the LITA Blog or other ALA platforms. Winning submissions will be notified via email the week of June 15, 2015. Innovation: How did you use little resources to creatively assess and solve a problem? Simplicity: How easily could this project be implemented elsewhere? Impact: How did your project positively affect the library users’ experience? 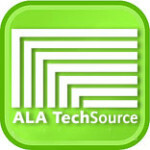 A personal one-year, online subscription to Library Technology Reports, a $249 value! You’ll get online access to 8 brand new issues of Library Technology Reports, all written by leading practitioners. This has been generously donated by ALA Tech Source. For more information, contact LITA President’s Program Planning Team members Isabel Gonzalez-Smith, isaxgonzalez@gmail.com or Lauren McKeen, lauren.mckeen@northwestern.edu. 2015, ALA Annual Conferences, General information, News & Noteworthy Contest, LITA President, ux. permalink.